When the winter temperatures finally break, there’s nothing quite like going outside in a tee-shirt for the first time. Spring is the season where we finally come out of our hibernation, getting rid of all the junk we’ve accrued over the long winter and throwing the windows wide to the smell of blooming flowers. Until the rain starts. 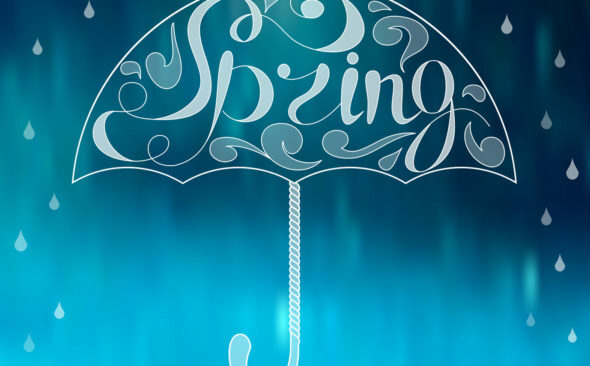 Spring is also the rainiest season of the year – everything from ‘spring showers’ to torrential thunderstorms. And while the change from blizzards to rainstorms can be refreshing, spring rain presents its issues to the home or business owner. These are a few ways to prepare for the inevitable rainstorms. 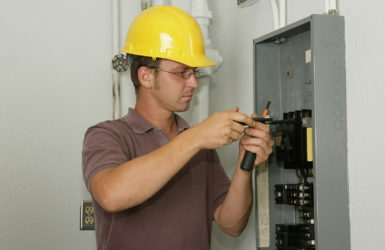 If you own a home or a business, investing in a backup generator will save you money and headaches during the worst storms of the season. Lighting candles and waiting out the storm may seem romantic and fun – and it is, until your basement floods and you’re on your hands and knees mopping up rainwater with your bathroom towels. 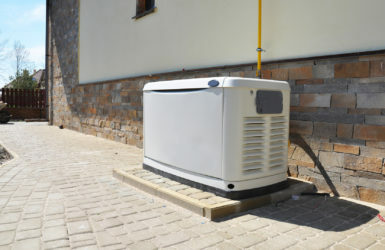 Installing a backup generator from Generator Technologies will keep your sump pump running through all conditions, and will make sure you stay in business when the electricity goes down. With your backup power in place, get ready for some severe flooding. Anyone who lives in a rainy area will know the importance of a sump pump. Flooding can destroy your furniture, business equipment, and necessary paperwork, and often results in dangerous mold. When setting up your pump, make sure you snake the output hose somewhere the water can dump freely – a storm drain or culvert is best. No one likes getting up on the roof to snake out the gutters, but this job needs to happen before the first serious spring storms. Debris from the past fall and winter – mostly dead leaves and sticks – builds up in the gutters and can result in standing water or gutter damage if not cleared. So snap on those rubber gloves, grab your ladder and get to work! Make sure you climb up there on a clear day and have someone spotting you at all times. While you’re up on the roof, consider removing any branches that are within striking distance of your windows or walls. While the wind is gusting, branches tend to flail around and can do serious damage to your house if left unchecked. A broken window in the middle of a severe rainstorm can be a real nightmare. When trimming, exercise extreme caution, especially if you are standing on a ladder or your roof. As always, have someone nearby spotting you. Also, be aware of where your branches are falling and make sure no one is standing directly beneath you. With these tips, you should prepare for the worst possibilities that come with severe spring storms. 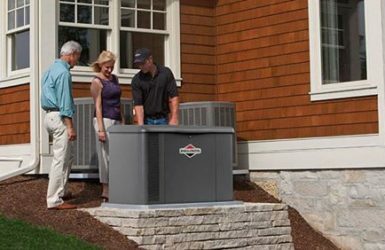 That way, you can be outside enjoying the beautiful weather and spend less time worrying about the storm damaging your house, or your electricity and sump pump going down.